I am creating a couple of illustrations for the Underground Art School Magazine. The theme needed to include a positive affirmation, mantra, or advice. 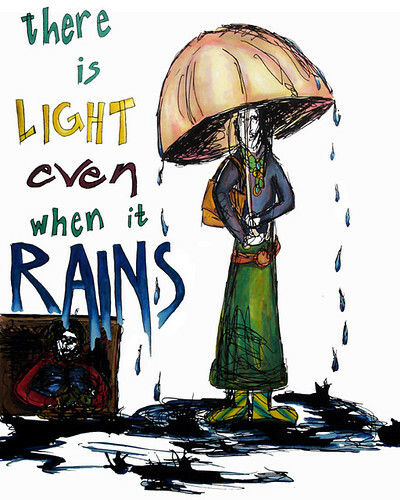 Since it has been raining so much here, I decided that this illustration would speak for itself. And another illustration of this sort is on the way soon.